For those of you who aren’t well acquainted with Marvel’s Super Heroes, Dr. Strange is not one of the best known. His powers are more mystical than such physical action heroes as Thor. But he’s definitely one of the most interesting. When the new Disney film opens Nov. 4 in Dallas, Dr. Strange (Benedict Cumberbatch) may even become one of the most popular. Dr. Strange deserves to be seen in IMAX, since it boasts such spectacular special effects it will literally shove you back off the edge of your seat. It starts a little slow, as the uninitiated learn who Dr. Strange was before a tragic, near-fatal car accident. Apparently he was an arrogant, bull-headed but brilliant surgeon whose hands could perform the most difficult surgeries. Losing the use of his hands after the car wreck, Strange goes on a quest to find a way to restore the damaged nerves. His search for healing leads him to Katmandu where he is taught by a mystic Ancient One (Tilda Swinton). The Ancient One and other sorcerers like Baron Mordo (Chiwetel Ejiofor) teach him many Ninja and conjuring skills. He also learns how to leave his physical body to soar with an astral body, and how to enter other dimensions. Dr. Strange proves to be such a natural that he becomes a powerful sorcerer far ahead of the expected timeline. After all, it’s only a two hour movie. 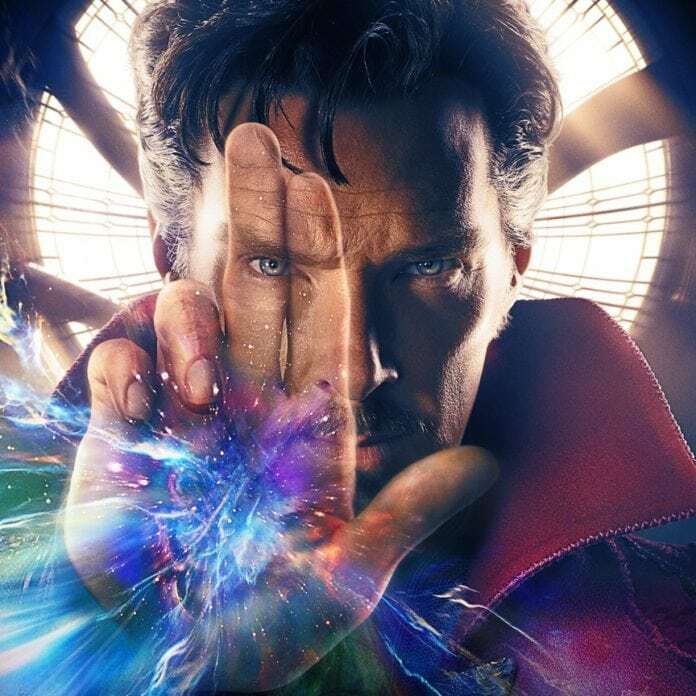 Dr. Strange’s plan to return to his work as a surgeon is derailed when evil sorcerer Kaecilius (Mads Mikkelsen) and his disciples start destroying the world. By this time it’s clear to those of us in the audience that only Dr. Strange can save us from total destruction. But is he ready yet for this overwhelming task? With a little help from a magic cloak/weapon and from his old lover and fellow surgeon Christine Palmer (Rachel McAdams) Dr. Strange reluctantly puts his plans on hold to fight the evil forces. Since the subject matter of the film is pretty grim, the writers provide enough humor along the way—most of it from Dr. Strange’s witty, sarcastic remarks—to give the audience a chance to stop cringing and laugh a little. Consider Dr. Strange only the first in what’s sure to be a long line of films about the newest star in the Marvel Cinematic Universe. Cumberbatch is absolutely perfect in the title role, which fits him even better than his magic cloak. Directed by Scott Derrickson, the script was written by Derrickson along with Thomas Dean Donnelly, Joshua Oppenheimer, Jon Spaihts, and C. Robert Cargill. An action, adventure, science fiction and fantasy film, Dr. Strange is rated PG-13 (for sci-fi violence and action throughout, and an intense crash sequence), and runs 130 minutes.